Dominion faces unprecedented scrutiny of its political influence and hard questions about whether most Virginians' monthly electric bills are higher than they need to be. RICHMOND, Va. (AP) — When the Democratic Party of Virginia publicly criticized a Republican state senator a few years ago for being too cozy with Dominion Energy, the state’s biggest corporate political donor vented to one of its most reliable political allies. Saslaw, one of Virginia’s most influential elected Democrats, quickly apologized and criticized the state party for not doing its “homework” on “how generous Dominion has been to me” and others in the party. The company and its executives have given about $350,000 to Saslaw in the last 15 years, by far his biggest source of campaign funds. The email exchange, obtained by The Associated Press, helps illustrate the close ties between the state’s largest electric utility and key lawmakers, like Saslaw, in both parties. Those bonds may be critical as Dominion faces unprecedented scrutiny of its political influence and hard questions about whether most Virginians’ monthly electric bills are higher than they need to be. Lawmakers, lobbyists and others at the General Assembly say there’s been a noticeable change in attitude toward the company this year compared to three years ago, when Dominion had little trouble passing legislation that has yielded a significant windfall for the company. After serving as a frequent punching bag for politicians in both parties in last year’s election, the company is fighting off efforts to increase oversight of its electric rates while pushing legislation to let Dominion continue charging rates that currently produce what regulators calculate are excessive yearly profits of hundreds of millions of dollars. Dominion and its supporters say the legislation will help modernize the electric grid and boost renewable energy. In this new environment, Dominion has turned to old friends to block unfriendly bills and steer friendly legislation into law. The company has forged deep ties with these lawmakers through decades of intense lobbying, generous campaign contributions and pricey gift giving. Three longtime lawmakers sponsoring the Dominion-backed legislation — Saslaw and two Republicans, Sen. Frank Wagner and Del. Terry Kilgore — have received about $700,000 in campaign contributions from the company and its executives since 2003, according to an analysis of data collected by the Virginia Public Access Project. The company, its executives and lobbyists gave about $1 million in campaign contributions last year. Dominion is the top donor, or among the top donors, to several lawmakers. The links with lawmakers extend in other ways. The company makes charitable donations to nonprofits where some lawmakers work. That includes the two House sponsors of this year’s legislation: Kilgore and Democratic Del. Lamont Bagby. Both lawmakers say the company’s charitable contributions have no influence on their legislative work. Critics of the company say those relationships helped create a broken regulatory system. Regulators said last year that Dominion’s rates were about $400 million-a-year too high, and customers would have been given large refunds were it not for the 2015 law. Monthly bills for Dominion’s average residential customer rose 7 percent between 2015 and 2017, while the average monthly bills for similarly situated utilities in the Southeast fell slightly during that time, according to the attorney general’s office. 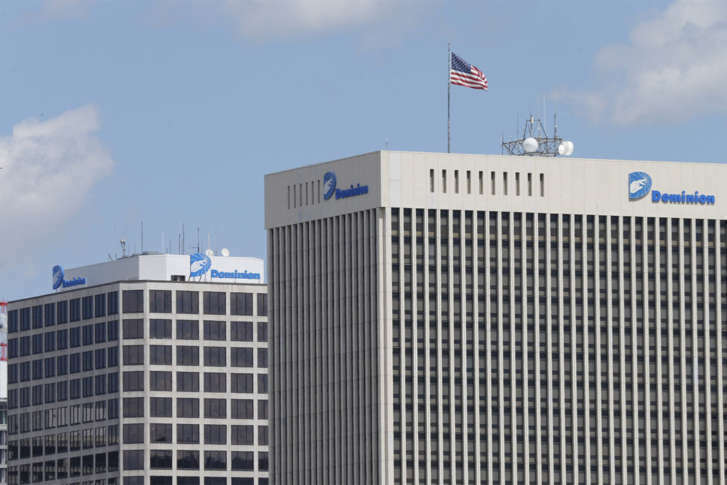 Wall Street has called Virginia’s regulatory system one of the most utility friendly in the country and Dominion is currently projecting “best-in-class” annual dividend growth of 10 percent through 2020. “Everyone will tell you that Dominion’s money doesn’t impact their vote, but given the fact that almost nobody says no to Dominion, I think that’s pretty obvious it has a large aggregate effect,” said freshman Del. Lee Carter. Carter campaigned last year on limiting Dominion’s political influence and is one of several newly elected Democratic lawmakers who have pledged to reject any campaign contributions from the company. Dominion and its legislative allies generally downplay any connection between its political giving and its political might. They call the current regulatory scheme pro-utility and pro-consumer. With little discussion, Saslaw and other pro-Dominion lawmakers have already killed one bill that would have repealed the 2015 law. And he erupted when a reporter asked whether Dominion executives had ever reminded him of their giving. “Zero. Zero. Zero,” Saslaw said, his voice rising to a yell. When reminded of Blue’s email, Saslaw later apologized and said he misspoke. Company spokesman David Botkins said Blue’s email wasn’t referring to campaign donations when it referenced the company’s support for Saslaw and Democrats. Botkins said support comes in many forms other than cash, like attending “ice cream socials” or putting candidates’ bumper stickers on cars. Blue declined to comment directly, instead issuing a statement noting he has been supporting Democrats since high school.